Tso on the 7th day of Wing King, we ended up at The Industry – a fairly new South Philly bar that caters to the servers, cooks, and libation makers that keep us all happy. I was first introduced to the sweet, slightly spicy, deep-fried General Tso’s chicken in college by my roommate who used to pronounce the “T” in his favorite take-out dish (I’m a beef and broccoli dude.) Named after Zuo Zongtang, or Tso Tsung-t’ang – China’s silkworm farmer turned military strategist – General Tso’s chicken has been a staple in American street corners, strip malls and college campuses. It however, is not as common to find at a bar. 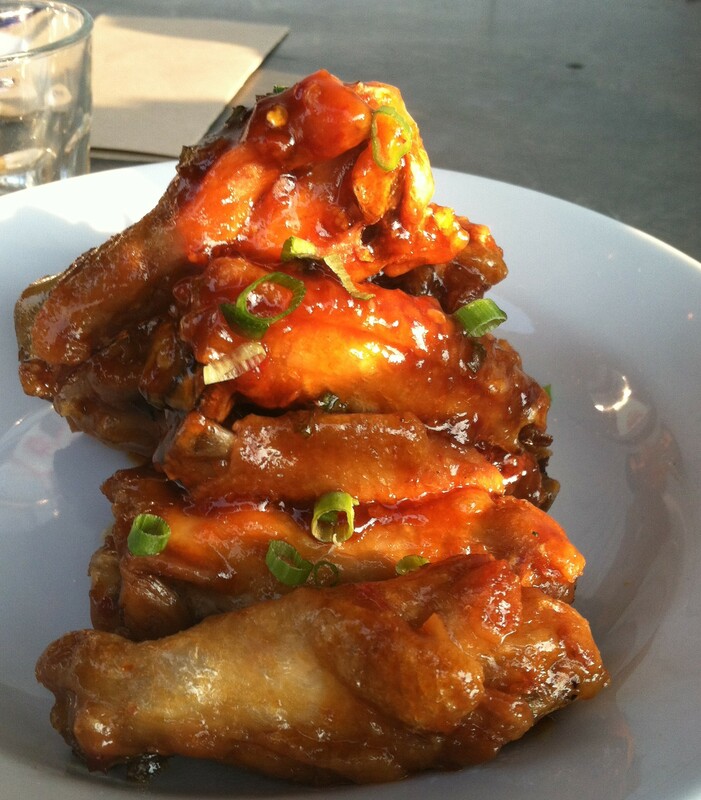 Hats off to the Industry for not only serving this sticky sweet sauce as part of their menu, but serving it over nice plump, and crispy chicken wings! They created their own version of this complex sauce but it was more cap gun than cannon. The wings were fried to a nice “crispicity” and the meat almost had a FOTB (falling off the bone) factor. The chicken was cooked well and was on point, however, I was looking for that bullet-proof glass, corner Chinese store POW!! This dish needed more ammo and ended up shooting blanks. For this we give the Industry’s General’s Wing 3 BigBites = “It just needs a little more something, something” on the 12 DAYS OF WING KING rating system. *Bonus: Skip the wings and try the crispy pig ear wraps, tartar and the buffalo sweetbreads! This entry was posted on Sunday, August 25th, 2013 at 1:26 pm	and tagged with Review, Wings and posted in Bite This, Review, Wing King. You can follow any responses to this entry through the RSS 2.0 feed.